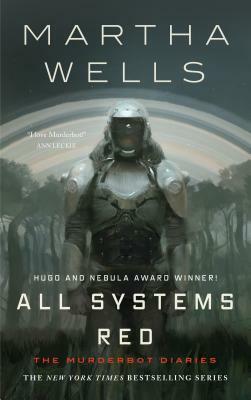 Why should you pick All Systems Red by Martha Wells? I could tell you about the cool world building, with the alien history and different types of artificial intelligence and cultural differences between planets and family norms. I could tell you about the main character, a SecUnit who calls itself "Murderbot", and how it struggles with having emotions and dealing with humans who keep rushing into danger and caring about those stupid humans in spite of itself. I could tell you about the plot, and its mix of intrigue and learning to be a family. I could tell you about the cynical sense of humor the book has, and how charming and diverse the supporting cast is. I could even tell you about the sequels, that after this book there are three other novellas and a future promised novel. All of these things are true and good reasons to read the books. But really, nothing I could say would be more perfect or convincing than the first paragraph of this book.